Next year (i.e. 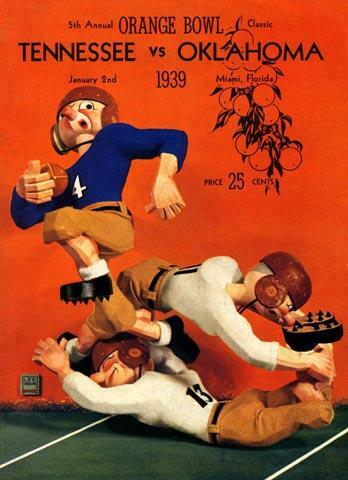 in the 1939 regular season) Tennessee didn't allow a point until Southern Cal beat them in the 1940 Rose Bowl. But in 1938 it was the Sooners who ran into their own New Year's hex, as an unbeaten team which had only allowed 12 points in the regular season bowed to the best Volunteer team in its history.